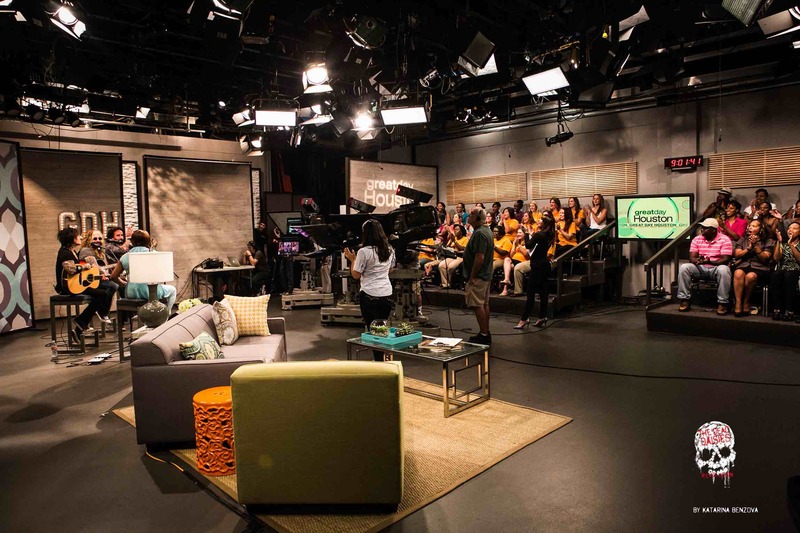 Great Day Houston studio audience received our album Revolución and tickets to tomorrow’s show! Today started bright and early for the boys as John Corabi, Marco Mendozaand Richard Fortus appeared on the live television show Great Day Houston. This was the first show that the band have been on with a live studio audience, all of whom received a copy of the new album ‘Revolución’ as well as tickets to Friday nights show at The Concert Pub North. Host Deborah Duncan chatted to the band about the 1980’s music scene and how they each became involved in music. Richard has been around music his whole life as his father sold musical instruments while John and Marco discovered the guitar at an early age and worked their way around the fretboard to find their first ever chords. 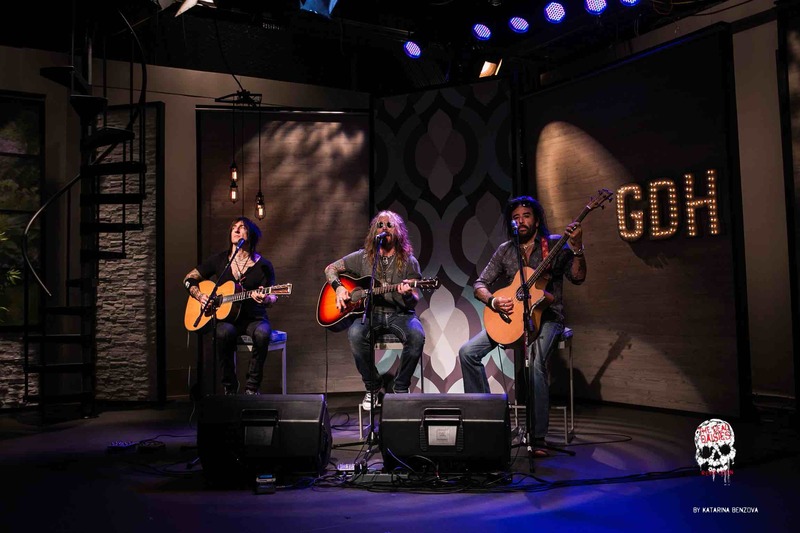 The Dead Daisies played an acoustic rendition of the current single ‘Mexico’ which continues to catch the ear of more and more people, giving the studio audience and television viewers a taste of what to expect when they come to see the band live. Deborah finished off the spot by asking the band about their historic trip to Cuba which John answered enthusiastically by urging people to visit the island before it becomes commercialised as well as plugging the album, book and documentary which all run under the title of ‘Revolución’.